We continue to be very happy with our Passive House. Last week we had a bit of heat wave here. It was unusual for Santa Cruz to have 3 consecutive days of temperatures in the mid to high nineties. The chart below show the daily high and low temperatures (in Fahrenheit) in our area. The Weather Cat weather station is located just 2 miles away from Midori Haus and is in a similar residential area so it provides good representative historical weather data for us. 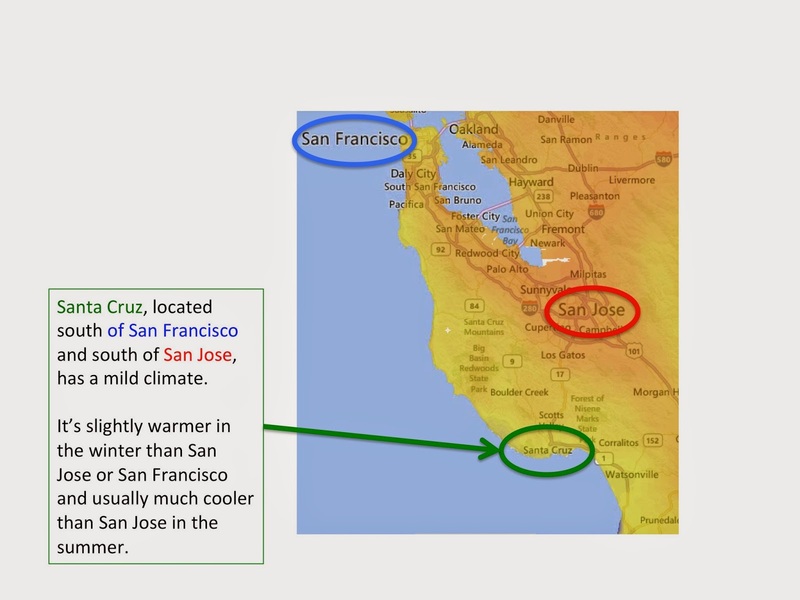 What was really unusual about the heat wave last week was that Santa Cruz was about 10 degrees warmer than San Jose. Normally it’s the opposite. Have a look at this map below. Even if Santa Cruz is south of San Jose the cool ocean temperature keeps the area mild and comfortable. So I was surprised on Thursday last week when we drove back from Berkeley to see the temperature sensor on my car showing 96 degrees in Santa Cruz when it was only 85 degrees in San Jose. When we got home and stepped into the house it felt comfortable. And we have no air conditioning. Because of the super insulation and air tightness of the house the temperature inside the house stayed in the mid seventies during the entire time. Here is an example of the temperature reading inside the house showing 23-28 degrees cooler than the outside. Plotting the periodic temperature readings on this graph you’ll notice that the internal temperature stays in a narrow band while the external temperature swings wildly. While passive house dramatically retards the heat transfer from the outside to inside (during summer) and from the inside to the outside (during winter) it does take a little bit of conscious action by the homeowner to optimize the comfort. Let me show you what I mean. First is shading. Our deck that extends to the back yard faces south. This is great in the winter because the 2 rooms facing south receive lots of good solar heat gain when it’s cold and the sun angle is low. During the summer we want to keep the sun out. So on Wednesday evening Kurt took out the canvas shade cloth and installed them over the arbor. Originally we had intended to grow some plants to provide natural shading, perhaps grapes or kiwi. 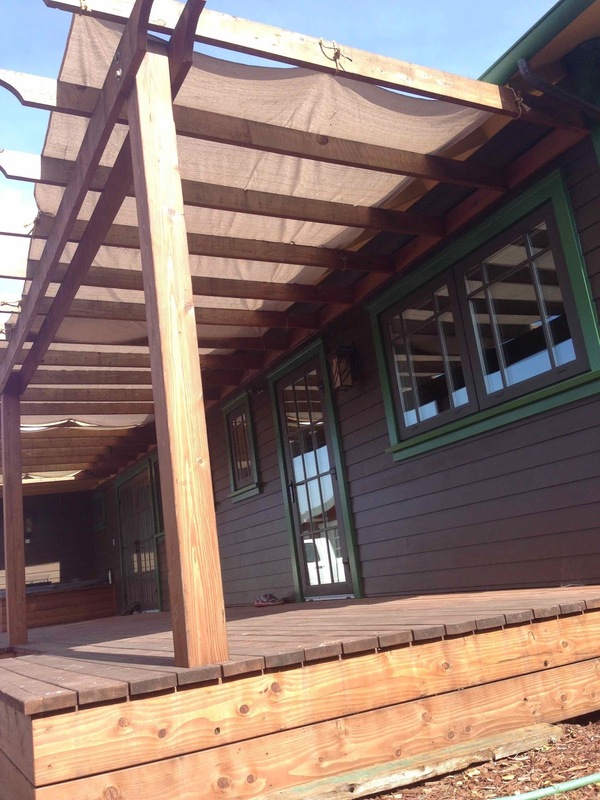 But we chose not to go down that path because the shade cloth provides us with more flexibility. After the first summer we decided to keep these shade cloth as a permanent seasonal solution rather than rely on plants because it’s easier to maintain. Here’s a picture of that. Another part of the shading is inside the house. 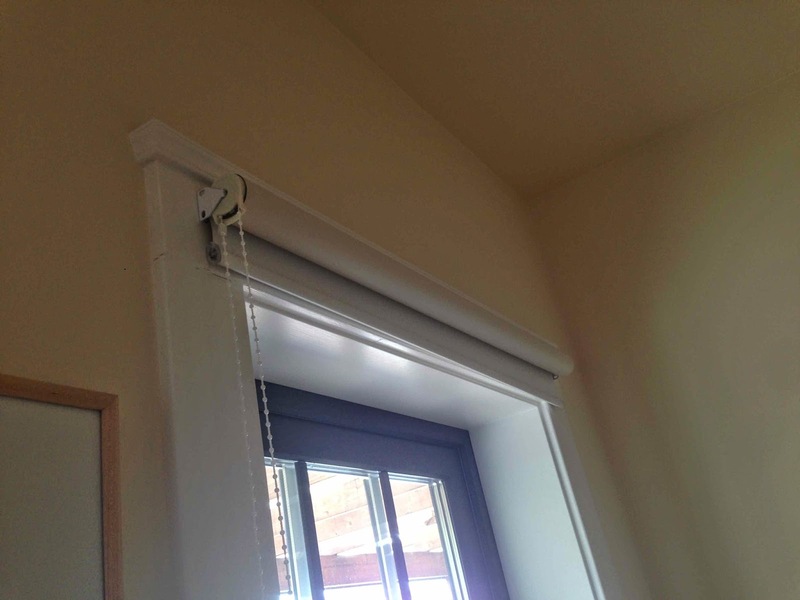 We have these roller shades installed over the windows. 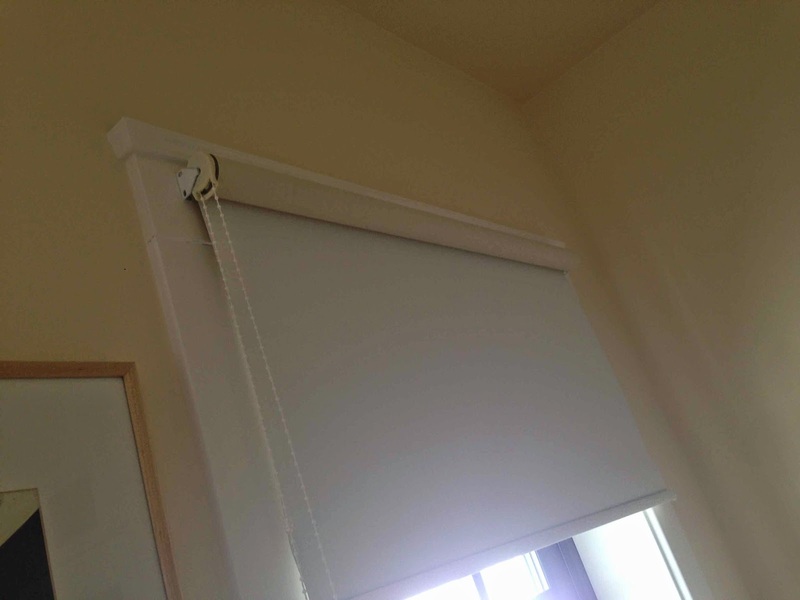 The ones on the south side of the house are all made of light-blocking thicker material we got from Advanced Blind & Shades, and they are manufactured locally. Then there is the setting on the heat recovery ventilator (HRV). To minimize bringing in excess heat during the heat wave we set the control on the Zehnder ComfoAir 350 HRV to “A” during the day to reduce the ventilation flow down to 23.5 cfm from the normal 95 cfm at “2” setting. The Zehnder ComfoAir 350, as with other heat recovery ventilators, has the ability to perform passive night time cooling in climates where hot daytime summer temperatures are followed by cool evening temperatures. These are climates in which one would normally open the windows at night. 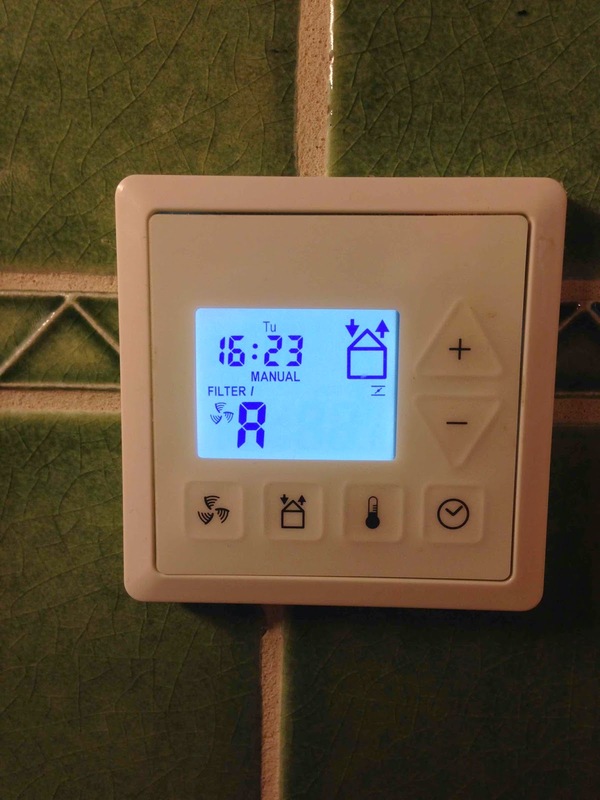 Using the HRV “Summer Bypass Mode” allows all the benefit of night time cooling with the windows the added benefit of retaining the filtration of air introduced into the home interior. It allows for a cooling to a precise user selected set point and then resumes its temporarily defeated heat exchange function. Finally, we open the windows and let the cool air in during early morning. As you’ve seen from the daily low temperature in from the Weather Cat table above it gets nice and cool overnight. Typically in the mid to high fifties even during the heat wave. This really helps to reset the internal temperature before the day heats up again. By the way, this night or early morning cooling works because the ocean temperature is pretty constant and cool throughout the year. 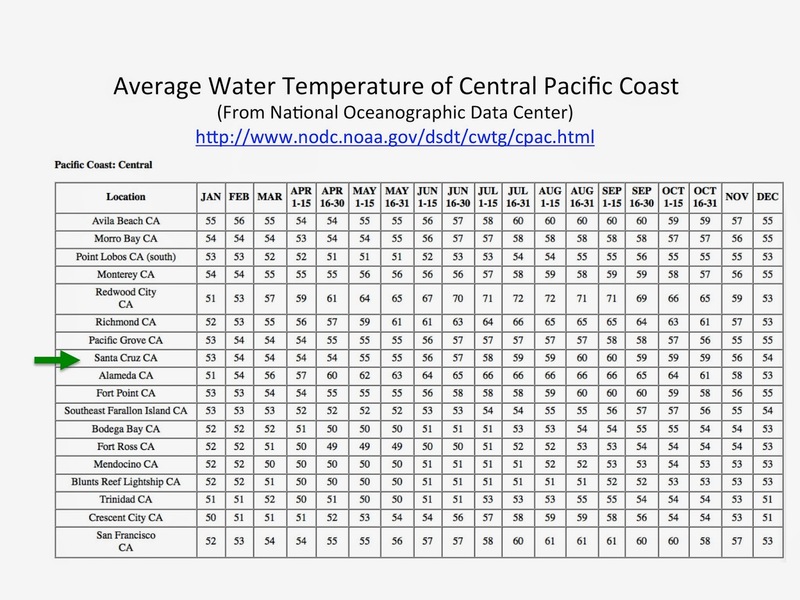 The table below is the average ocean water temperature from NOAA. You can see from the table that the water temperature just a mile away from our house is abut 56 degrees Fahrenheit, plus or minus 3 degrees. Once the sun goes down the cool ocean water cools the air so the overnight temperature is consistently cool. That’s why homes in Santa Cruz don’t have air conditioning. Because we don’t have air conditioning we don’t use extra electricity during hot weather. 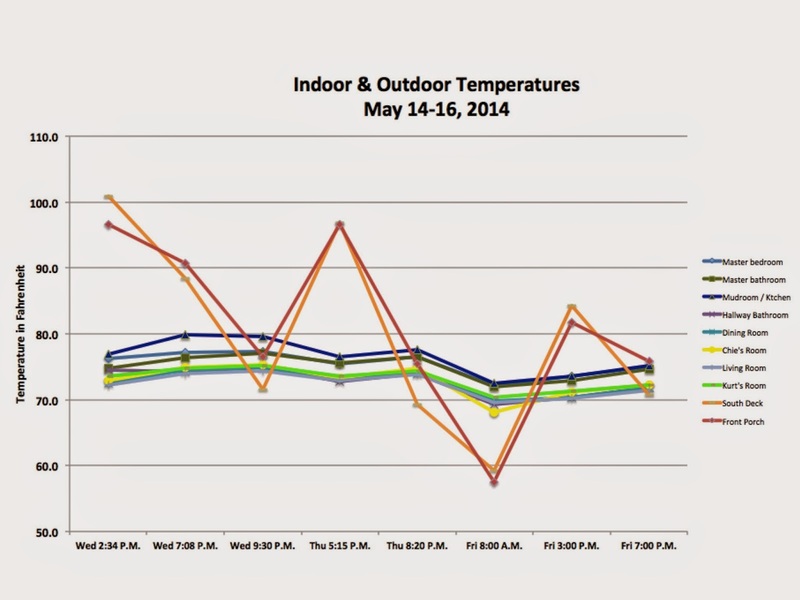 Our electricity usage continues to stay pretty low during the heat wave of May 13-15, 2014. 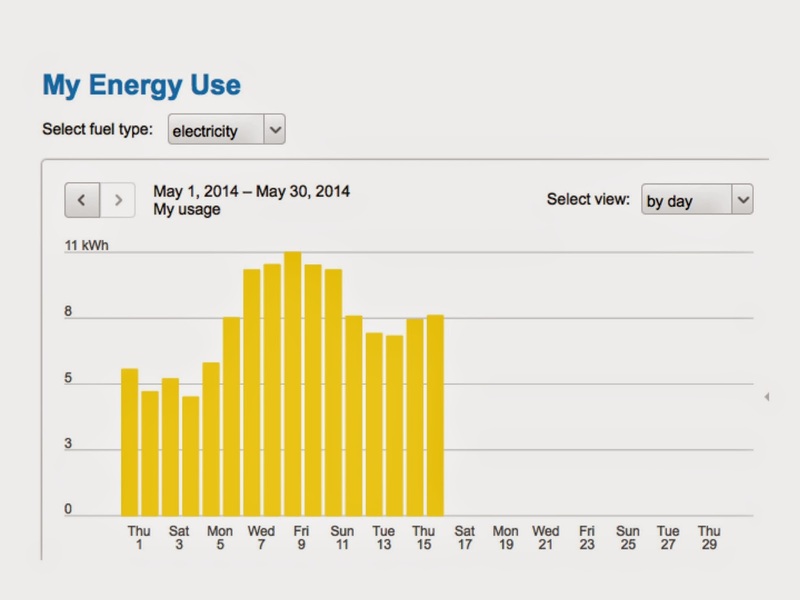 Below is the screen shot from PG&E, our local utility, showing our electricity usage for the current month. We are happy to be comfortable in our Passive House that uses very little energy. it was great to finally meet you, at the Rebuild Green Expo in Santa Rosa. Hope you got some good interest from owners & builders there. I found your webpage very informative. 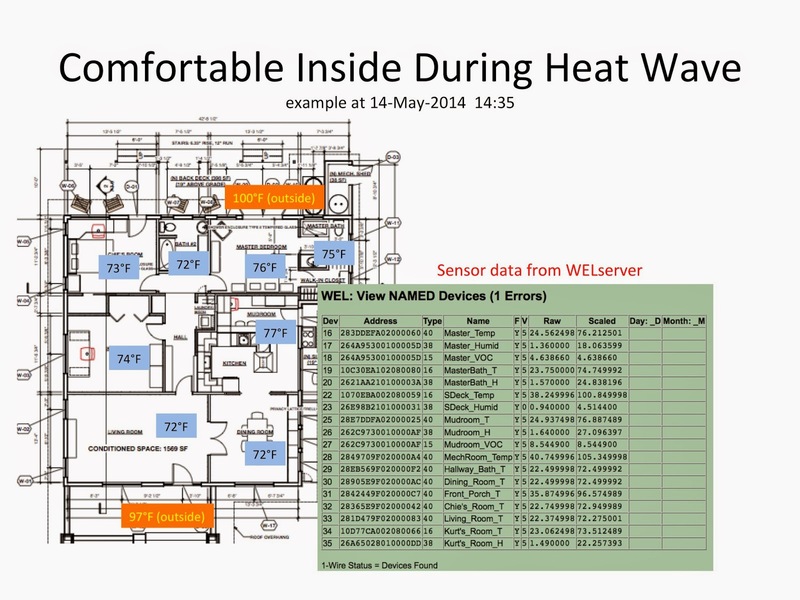 Please let me know if you get any more indoor temperature and humidity data during heat waves. 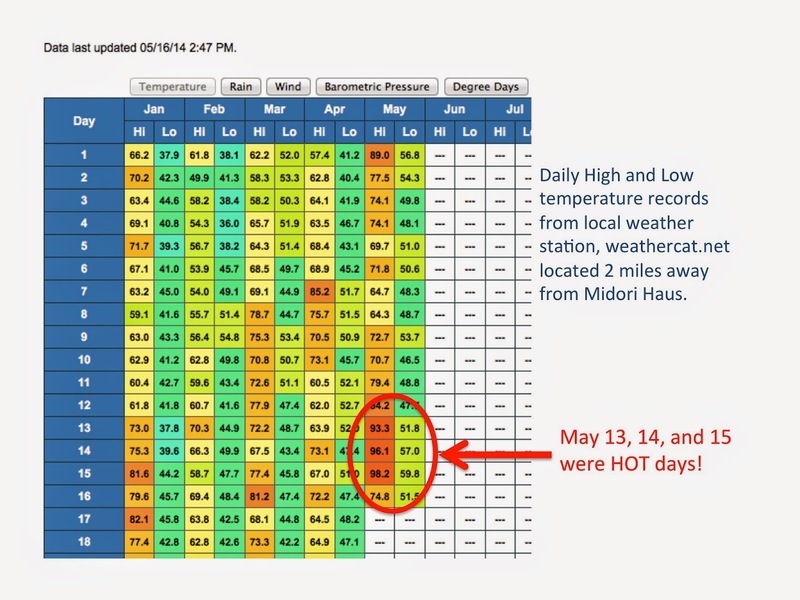 Thanks Tom for prompting me to look at my data on temperature and humidity. I’ll write a post next month on humidity data.